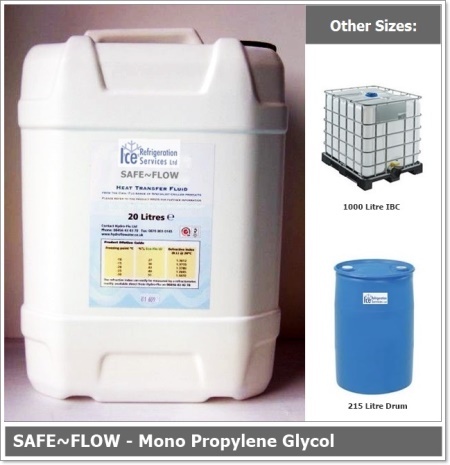 Mono Propylene Glycol is a non-toxic, food safe glycol, formulated for use in food and beverage cooling environments. Premium quality Mono Propylene Glycol. Food Safe Glycol supplied as either 100% Glycol concentrate / or as a pre-diluted mix of 50% demineralised water & 50% Mono Propylene Glycol. Includes powerful inhibitors as standard to protect against degradation, scale, bacterial growth and corrosion. 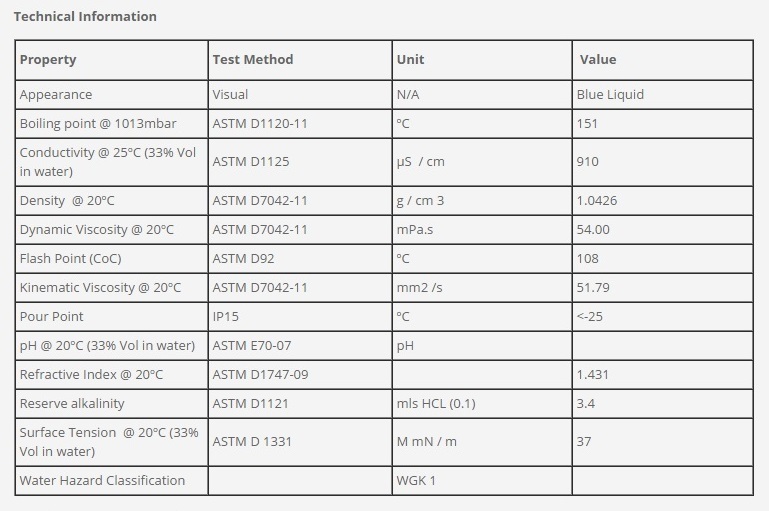 Mono Propylene Glycol formula will provide excellent freeze protection, cleaner circuits, efficient heat transfer and a significant reduction in annual maintenance costs. For use in indirect food and beverage cooling applications. Temperature range -35 to 120°C.